Chicago has a reputation as one of the most haunted cities in America thanks to the high amount of paranormal activity that’s been reported around these parts... and those cheesy Al Capone-themed ghost tours aren’t helping matters. 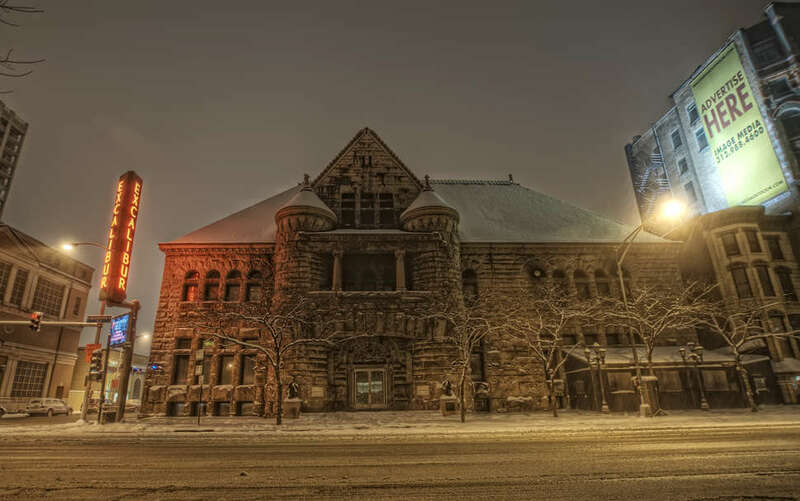 While there are enough haunted places in the Chicagoland area to fill all three of those Scary Stories to Tell in the Dark books that terrified you as a kid, the following places are thought to be among our city’s most haunted. The former Chicago Historical Society building -- once known as Excalibur to party-friendly Chicagoans and now open as the Asian-inspired restaurant and nightclub Tao -- has long had a reputation for being one of the most haunted buildings in the city. For decades, employees of Excalibur claimed to have witnessed a wide variety of supernatural activity: dozens of candles being re-lit or extinguished, wine taps turning on by themselves, bottles suddenly breaking, and even apparitions of a man in a tuxedo, a woman in red, and a little girl. Visitors have reportedly heard children crying, describe feeling a “heavy” energy and have difficulty breathing when in the Dome Room, the building’s paranormal hot spot. While filming an episode of Ghost Adventures, one cast member even felt he may have been pushed down the stairs by an unseen force. 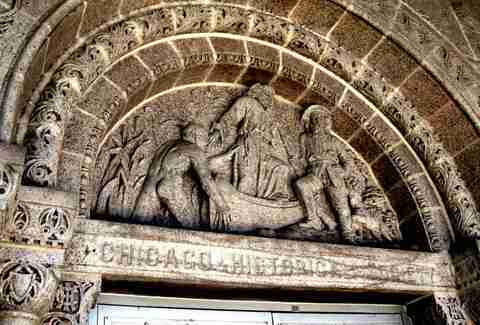 While there have been plenty of rumors surrounding the source of the paranormal activity -- the most common one being that the building was used as a temporary morgue after the Eastland Disaster over a century ago -- most are either false or are difficult to prove simply because they pre-date the Chicago fire. Which, you know, burned down the original building and (allegedly) everyone who took shelter inside of the “fireproof” building who (supposedly) haunt the place. More recently, however, Tao was one of the most anticipated recent restaurant openings in town, and the building's interior looks very different. Employees at this Clarendon Hills venue have long reported having strange encounters: apparitions, loud noises, and unexplained activity on security cameras. A handyman got more than he bargained for while remodeling the restaurant’s bathroom overnight. He reported that the restaurant’s jukebox kept turning on by itself, yet would mysteriously stop anytime he entered the room. After this occurred several times, he claims he reentered the room once more and saw an apparition of a woman standing in front of the jukebox. After mediums claimed the restaurant was haunted by a woman who died in the 1950s in an accident down the street, the owners decided to contact the establishment’s previous owner. He recalled the incident, as the woman in question gotten into a lover’s quarrel with the bartender and sped off, crashing a half mile down the road. Needless to say, the ghostly activities have now become one of the main attractions at Country House Restaurant. Thanks in part to that famous photo of a ghostly woman perched on a headstone in Bachelor’s Grove cemetery, the site has become known as one of the most haunted cemeteries in America. There have been over 100 reports of paranormal experiences at the cemetery, including ghostly figures, apparitions of a phantom farmhouse, and unexplained balls of light. However, even if you don’t believe in ghosts, Bachelor’s Grove has a pretty creepy history. The cemetery was reportedly used as a “dumping ground” by the mob. 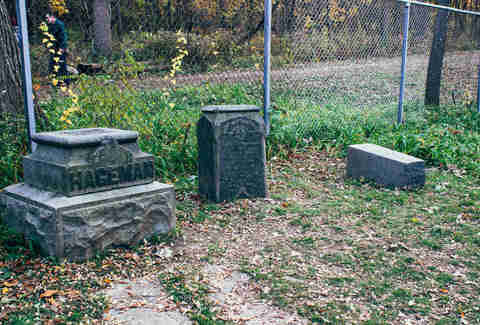 In recent decades, vandals have desecrated graves, with some graves reportedly being dug up for satanic rituals. The building at 1610 N. Wells once housed That Steak Joynt, a restaurant known for its eclectic decor, including many historical artifacts and oddities from the Chicago area. While the bizarre stories surrounding both the building and certain pieces of decor are endless and creepy as hell (you can read them all here), one of the scariest incidents involved a waitress being dragged violently toward the staircase by an unseen force. Hearing her screams, the restaurant’s owner ran upstairs and found her laying on the ground with burning red finger marks on her wrists where she had been “grabbed.” After That Steak Joynt closed and its maybe-probably-kinda haunted artifacts were sold off to unsuspecting antique lovers, Adobo Grill moved in and the reports of paranormal activity ceased. The building has since burned down (grease fire... or ghost? ), but someone -- somewhere -- probably now has those haunted artifacts in their home. 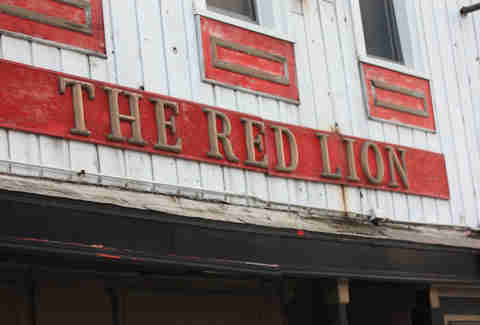 Originally built in 1882, Red Lion Pub is said to be the most haunted bar in Chicago. According to employees and mediums, the building plays host to several ghosts, including a scruffy cowboy and a mischievous female spirit who likes to play jokes on employees. Sadly, the building that housed the infamous pub was in rough shape after roughly 130 years and was demolished and Red Lion Pub was rebuilt. No word yet on whether or not the ghosts have taken up residence. 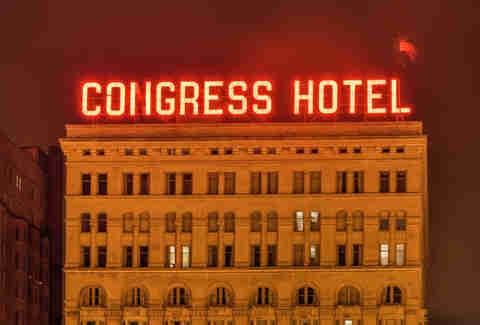 The Congress Plaza Hotel is widely thought to be the most haunted hotel in Chicago by both ghost hunters and unsuspecting visitors, based on the abnormally high number of creepy reviews on TripAdvisor. Originally built in 1893 to house World’s Fair guests, the hotel has played host to dozens of tragic deaths and suicides. Visitors frequently comment on the hotel’s strange sealed-off rooms -- including room #666. The 12th floor (which features a sealed-off room, natch) is said to be one of the most haunted areas of the hotel, while room 1408 is rumored to have inspired Stephen King’s short story by the same name. However, room 441 may be the scariest of all: those who stay in that room frequently report being attacked in bed by a shadow woman. A few years ago, a brief stay in room 447 famously prompted Australian celebrity chef Pete Evans to flee from the hotel without checking out. Growing up, most kids live in fear of that horrifying lady in the mirror known as “Bloody Mary.” Here in Chicago, however, we have another Mary to fear: Resurrection Mary. Since the 1930s, dozens of people claim to have had bizarre encounters with a young blonde female on Archer Ave near Resurrection Cemetery. Some have reported picking up a young female hitchhiker near the Willowbrook Ballroom, who then exits the car at Resurrection Cemetery and vanishes. In other cases, drivers have reported hitting a young female outside of the cemetery. However, by the time they exit their car, the young woman has vanished. Experts have been chasing this particular ghost for years, attempting to determine both the legitimacy of these claims and Mary’s identity. However, given the high number of vanishing hitchhiker stories, many skeptics have written Resurrection Mary off as good old-fashioned folklore. Lisa Chatroop was too focused on her guacamole to notice any ghosts at Adobo. Tell her all your ghost stories on Twitter: @LisaChatroop or check out DailyUrbanista.com, where the scariest stories involve bad Tinder dates.